My Girls™Skin Care will team up with of Susan G. Komen® Southern New England and participate in One Boston Day (#OneBostonDay) by donating My Girls Skin Care cream, a calendula cream known for help with protecting against the skin side effects of radiation therapy. One Boston day is a new tradition that will serve as an opportunity to celebrate the resiliency, generosity, and strength demonstrated by the people of Boston and those around the world in response to the tragedy of April 15th, 2013. Theresa Keresztes, the founder of My Girls™ Skin care is a breast cancer survivor, diagnosed in 2007 after detecting a lump while lying on the floor playing with her daughter. She will run the Boston Marathon for medically under-served women fighting breast cancer for Susan G. Komen Southern New England and their partnership with CancerCare®,a national financial assistance and an emotional support system for people and their families fighting cancer. After deciding to run Boston, Keresztes did research on organizations that support breast cancer patients who do not have health insurance. As an entrepreneur, she experienced difficulty with health care coverage and even delayed important doctor’s appointments and scans due to lack of coverage. Keresztes was even been dropped from some health plans because she was "too expensive" "With gaps in health coverage, I became cognizant of what my scans and medicine actually cost. I wondered how women with little or no health insurance could afford a $1,000 imaging scan or a $400 3D mammogram, not to mention a $3000 MRI and chemotherapy drugs,” commented Keresztes. "I think it is really important for people to know about how the cost of healthcare impacts someone diagnosed with cancer and how important it is to reduce barriers to care. This is increasingly important as healthcare premiums increase and plans with high deductibles are more common. For example, here is how our premiums will increase in Massachusetts in 2016. And for me personally, our new Neighborhood Health plan monthly premium totals $1,100 with a deductable of $5,500 of which my care alone must exceed before the plan covers our family. This is a big pill to swallow even before you add medications, co-pays, hospital stays and other tests." Keresztes says caring for the skin during treatment may seem like a small thing but when you feel good and your skin holds up through repeated radiation and you can avoid breaks in treatment, it is that much easier to get through it. "I am really looking forward to partnering with Susan G. Komen Southern New England for my first Boston Marathon supporting medically under-served women and also to our first One Boston day giving a gift of comfort to people as they undergo treatment for breast cancer." To support Keresztes and Susan G. Komen Southern New England with a donation, visit KomenSouthernNewEngland.org. 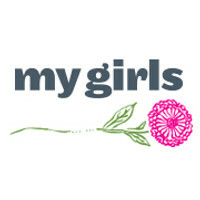 My Girls™ Skin Care is a line of over-the-counter plant-based, non-toxic body care products formulated to meet the needs of people with very dry skin that may become compromised as a result of medical treatments such as radiation therapy, dermatological procedures and over-exposure to the elements.. The line is made without parabens, fragrance or dyes and is recommended in US cancer treatment centers and in The Cleveland Clinic's skin test on radiation-induced dermatitis published Nov.1, 2015 titled: Implementing Evidence Based Practice in the Prevention of Radiodermatitis in an Outpatient Radiation Oncology Department. Susan G. Komen Southern New England is working to better the lives of those facing breast cancer in Connecticut, Massachusetts and Rhode Island. Through events like the Race for the Cure®, Komen Southern New England has raised money that has funded $11 million in community breast health programs in Connecticut, $9 million in Massachusetts, and nearly $7 million to support breast cancer research. For more information, visit KomenSouthernNewEngland.org.